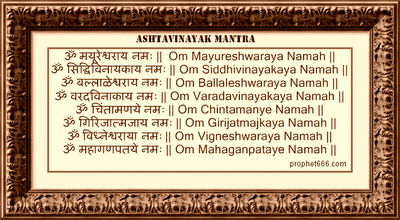 The Ashtavinayak Yatra is probably the most popular and sought after pilgrimage in Maharashtra. 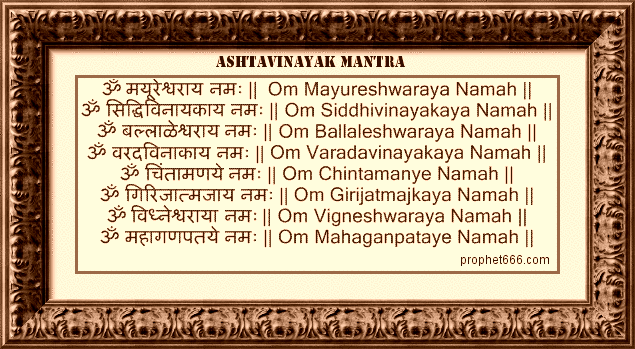 In this post I have given the unique Mantras of each of the Ashtavinayak – Mayureshwar, Siddhivinayak, Ballaleshwar, Varadavinayak, Chintamani, Girijatmaj, Vighnahar, and Mahaganapati. This is considered a most important Yatra as it is said that the worship of Ganesha for the sincere devotee is said to be incomplete without this Yatra.